I’ve seen a lot of mind-stimulating movies this year: Sherlock Holmes: A Game of Shadows, The Artist, The Girl With the Dragon Tattoo, Safety Not Guaranteed, Prometheus, Looper, and most recently Cloud Atlas. Some of these movies moved me more than others. Prometheus has a brilliant premise that imagines that Jesus had been an alien sent to enlighten mankind but after we crucified him, his race decides that we all need to be exterminated. Unfortunately, this premise is so buried within the murky subtext, few people could decipher it from all the superfluous storylines and gratuitous special effects. So, the message was lost. Looper, while interesting, was—in my opinion—deeply flawed. When it comes to time travel you can imagine that it’s possible to go back and change things (i.e., Back to the Future) OR you can imagine that it’s impossible to change anything because whatever you go back to change has already been changed within your timeline (Terminator, Lost). Looper’s story is based on the possibility of changing time—if you scar or even kill someone in the past, their future self will be affected. Fine. But the movie’s climax is based on reasoning that a character became who he was in the future because of a time traveler’s influence, i.e., time travel cannot change events because the change has already happened. The main character then tries to change the event anyway. Yes, he could’ve just been wrong, or stupid, but who resonates with a wrong or stupid hero? Survey says: X! Cloud Atlas is like a thick, juicy steak oozing with delicious mythological meaning. But its spiritual premise is very apparent in the storyline, saving symbolism and metaphor for deeper understanding of this theme. While I’m sure I’ll be referencing much of these messages in later posts, the movie that has got me thinking the most this year was not overtly spiritual at all. If anything, it comes off as being very superficial—a spoof of horror flicks. That film is Cabin In The Woods. I’ve referenced Cabin In The Woods before—mostly for its gratuitous use of hexagons and honeycombs that I felt relate to “life as illusion” and simulation themes (see “Have You Seen The Honeycombs?”). Not only did this film first get me seeing the symbolic honeycombs (also featured prominently in Cloud Atlas), but its theme of life being a game of sorts also really resonated with me. And this is what got me thinking about all the world’s major mysteries. If you’ve read much of my blogs before, you probably think you know where I’m going with this: life is a simulation and all these mysteries are part of a game our society needs to solve to get to the next level. There could be a metaphorical truth to that, but I’m going to take a step back from that idea. Remember, I said “you think you know the story.” In this case, that’s not it. Oh no, I’m going where no man has gone before. In Star Trek, the United Federation of Planets is depicted as a universal governing body much like the United Nations is for our nations here on earth. It really isn’t too far fetched of an idea. If there is advanced life out there, hopefully the more peaceful planets among them have actually formed a governing alliance to protect the universe they know of. Imagine that our universe is divided into, let’s say, twelve different systems. I picked twelve because it shows up so frequently in our mythology—twelve constellations, twelve apostles, twelve tribes of Israel, twelve spies sent into Israel, the Twelve Labors of Hercules, twelve colonies of man (from Battlestar Galactica), etc. Each of these twelve systems would have their own life forms, social structure, economy, laws, lands, resources, etc. They’d also have their own explorers—searching for planets inhabited with life forms or planets with environments that could support life if properly seeded. Either way, in all likelihood, any life found or seeded would probably be primitive by their standards. Much like Star Trek’s prime directive, perhaps these explorers are prohibited from annihilating these primitives and taking their world’s resources—even though they could easily do so. Nay, there would be rules to follow—rules determining which of the twelve systems has the rights to the planet’s resources, including its inhabitants themselves. But what might these rules be? The premise of Cabin In The Woods (and this is only a semi-spoiler if you haven’t seen it), is that the reason so many horror flicks start out the same—teenagers stumble upon an ancient book, mysterious puzzle, cursed video tape, powerful spell, secret passage, possessed item, time-sensitive vortex, forgotten relic, forbidden knowledge, imprisoned evil, etc—is because it’s all part of a game that outsiders are playing to see which spooktacular monster(s) will attack them. You’ll have to see the movie to find out the purpose of the game, but suffice to say it does serve a purpose. Now, since I believe that there is meaning in all mythology, it got me thinking about the mysteries of our world. What if all the ancient mysteries on earth were actually puzzles planted here by various intelligent aliens hoping that we’d be able to unlock their secrets once we’d become advanced enough? 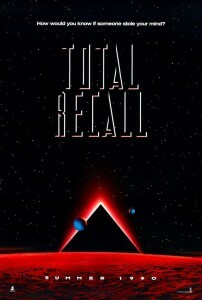 This premise is actually explored a bit in the original Total Recall. In the film, aliens hide an enormous atmosphere-creating machine within a mountain on Mars. The hope was that man would be advanced and responsible enough to use it once they’d developed enough technology to find it. Of course, the aliens weren’t counting on corporate greed, which seems to be the theme of much of our issues today, but I digress. So, how might this alien mystery solving contest work? After discovering the world and its primitive population, alien scouts would be sent out to gather intelligence on the planet, its resources, and its people. At first, it would be a mostly clandestine operation. After determining the leaders of various populations, the alien scouts would reveal themselves to them as gods. They would interact with these leaders to get a sense of how their minds worked and to try to teach them how to advance their civilization through various skills and technologies. Some of these technologies, like say, a levitation device for moving giant stones, manna-making machine for feeding huge populations in the desert, or death ray (kept in the Ark of the Covenant) to wipe out a tribes’ much more powerful enemies, could’ve been given outright to these primitive peoples. In exchange for this knowledge and these gifts, the natives were to help the aliens gather resources they needed—like gold or silver for their non-rusting or conductive properties, respectively. They could also help them build the particular puzzle that would be meant for their future descendants to solve, assuming their descendants would be advanced enough to do so. While the more friendly alien scouts could’ve asked for volunteers, others may have just enslaved the natives, forcing them to create the giant puzzle structures that would need to stand the test of time for thousands of years. The alien races from each of the various systems would likely have very different physical characteristics from one another. Those who appeared to the Egyptians may have looked similar to the gods depicted in their hieroglyphs—animal heads on humanoid bodies with headdresses that covered broad shoulders and weapons shaped as ankhs. The animal heads could’ve been part of their breathing apparatuses, or maybe the result of cross breeding as they themselves may have been seeded or cross-bread from more advanced alien races. The aliens who appeared to the Hebrew tribes may have communicated telepathically and appeared as glowing beings with auras misinterpreted as halos or even wings, as our idea of angels are thought to look. 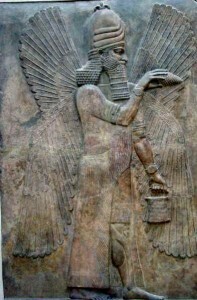 The Anunnaki who appeared to the ancient Sumerians may have been a race of giant beings with long beards and robes, who, according to legends, had made the Sumerians mine for gold. 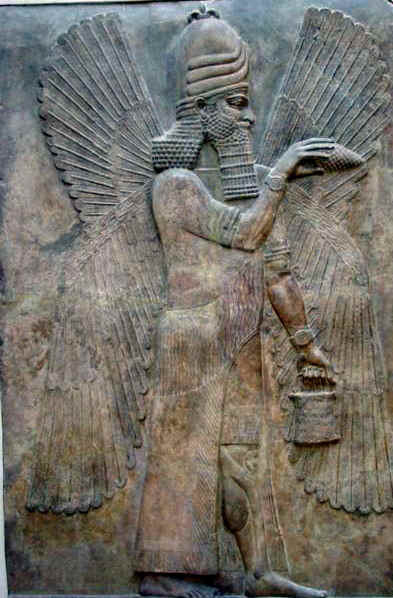 The Aununnaki weapons may have formed the shape of the ankh, since it’s from where we get the word. Those who appeared to the Chinese likely came in rockets that were mythologized as long, fire-breathing dragons. To the Hindus, their gods are often depicted on flying platforms, which may be the origin of the flying carpet myths. Each of the twelve systems had scouts who visited different peoples in different parts of the world at roughly the same time. Based on their individually gathered intelligence, each of the twelve systems would design their own puzzle (at a certain mandated difficultly level) and require the natives to build it. Whichever alien system has its puzzle solved first, gets to have that planet added as a member—and along with it, its people and resources. 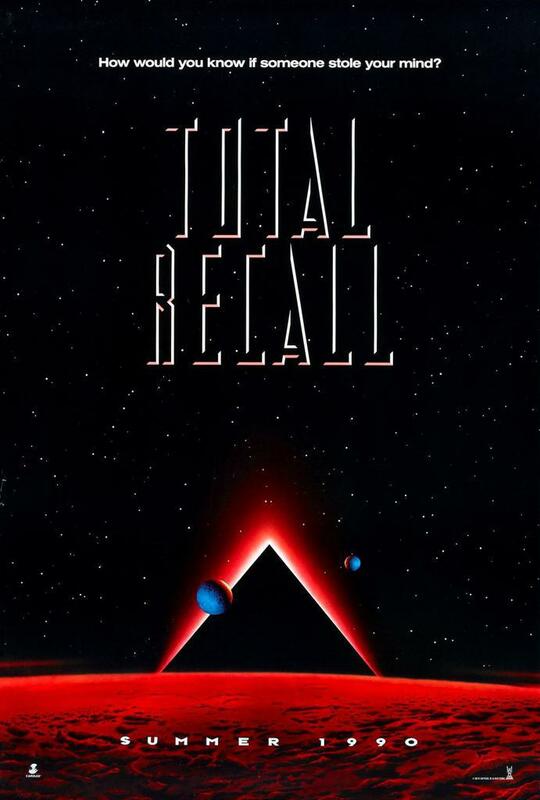 Since each puzzle requires certain advanced skills to be deciphered, the inhabitants would be advanced enough to be able to handle knowledge about the greater extra-terrestrial universe by that time. Pretty sneaky, eh? Once inducted as a member of a certain alien system, the planet would need to give a percentage of its resources as payment. In return it would receive protection from invasion and knowledge to help it advance at a much quicker rate. 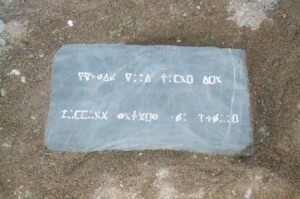 What are these mysterious puzzles that have been left behind for us to solve? All of them had to be built with such advanced methods that they would withstand thousands of years of natural disasters, war, and erosion, and still form the function they were meant to. I believe that the more obvious the puzzle, the more difficult it must be to solve. While this list is by no means complete, I feel that everything listed here is at least one of the puzzles to be solved. 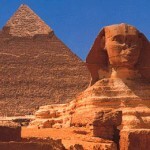 The Great Pyramid of Giza: The more you learn about this pyramid, the more fascinating it becomes. To me, it seems to be some kind of technology meant to communicate with a distant solar system, once activated. I believe that it may require a capstone that acts as an antenna of sorts, and that this stone may have been stolen, destroyed or hidden. I’d say hidden, and I believe it’s hidden underneath one of the paws of the great sphinx, contributing to the myth behind the “riddle of the sphinx.” There are also many who believe that the pyramid is actually a gigantic calendar, whose passages and chambers combine to form a prophesy of events to come. The various passages were constructed according to a chronological scale of a geometric inch to one year, so every inch you move represents one year forward. While considered a pseudo-science, this correlation between measurements and time has come to be known as pyramidology. Stonehenge: Much like the Great Pyramid, there is currently still no consensus on how this megalithic structure was created. What many do agree on however is that it seems to have some kind of celestial connection. Perhaps on a certain date, certain stars and heavenly bodies will align allowing some aspect of the stone circle to be reveled if something is manipulated or a missing piece included. Or something like that. The Crystal Skulls: Carved from quartz, there are said to be 13 of these authentic skull sculptures, including the most famous, the Mitchell-Hedges skull. Having touched one of the crystal skulls (“Pancho”) and heard the stories of its caretaker (Mario Alberto Bojorquez), I can tell you that there is definitely something otherworldly about them. Legend has it that when all 13 of the skulls are aligned, they will reveal some kind of message. Again, the skulls could be a kind of futuristic technology. Much like our silicone chips in computers, it is entirely possible that these skulls contain huge amounts of data just waiting for us to uncover. 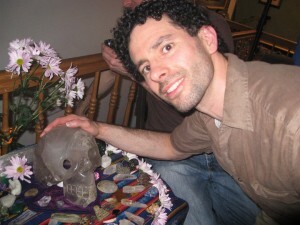 From what I’ve heard, most of the skulls have recently been unearthed. But perhaps there is just one missing piece of the puzzle that would allow their secret to be revealed! The Moai of Easter Island: Monolithic humanoid figures carved from rock on the Chilean Polynesian island, the production and transportation of these 887 statues are considered remarkable creative and physical feats. Oral histories recount how the people used divine power to command the statues to walk—alien help perhaps? In the late 1970s, archeologists discovered that the deep eye sockets were designed to hold coral eyes with volcanic rock crystal pupils. Perhaps reinserting these eyes could bring about an energetic vibration on a certain date, opening some kind of vortex of sorts. Just a guess. 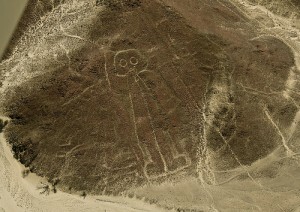 The Nazca Lines: A series of ancient animal and humanoid geoglyphs located in the Nazca desert in southern Peru, the Nazca lines have been fascinating archeologists since they were discovered in 1927. The mystery surrounding these lines isn’t so much about how they were made, but why. They are difficult to see from the ground—relying on the far-off foothills—and are surrounded by what looks like hundreds of landing strips. 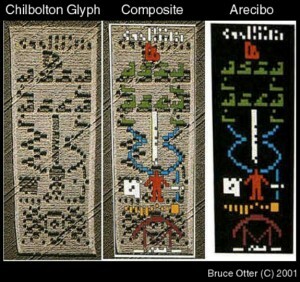 Could these figures be tributes to aliens that the natives considered gods as they landed in their “fire-breathing” ships? Or perhaps they were just tributes to their mythical gods who supposedly resided in the heavens. Or, as I’d like to suggest, perhaps they fit together to tell a story that can help reveal the truth about our past connection with visitors from other worlds. And also tell us what we need to do to bring them back. Crop Circles: Geometric and fractal patterns created by the flattening of crop fields, crop circles have appeared over 10,000 times in 26 countries during the last third of the 20th century. 90% of them were located in Southern England with half located within ten miles of Stonehenge. Although mostly a modern phenomena, crop circles, also known as fairy rings appear in folklore that dates back hundreds of years. While many of these circles have been the result of hoaxes, others seem far too complex and to have been created too quickly to have such an explanation. Since our universe has a mathematical and geometric basis, some have wondered if the circles are a result of natural pulses that flow through the galaxy, or pulses created by extra-terrestrial life forms in an effort to communicate with us. 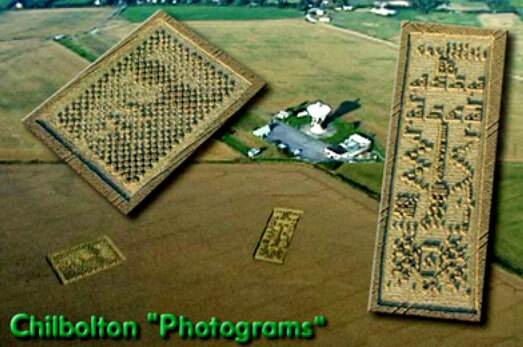 The story that’s intrigued me the most concerns the crop circles created on August 21, 2001 next to Britain’s largest radio telescope—the Chibolton Observatory. Back in 1974, astronomer Carl Sagan sent a message using the Arecibo Radio Telescope in Puerto Rico that mathematically displayed who we were, what we’re made from, and where we are in the solar system. 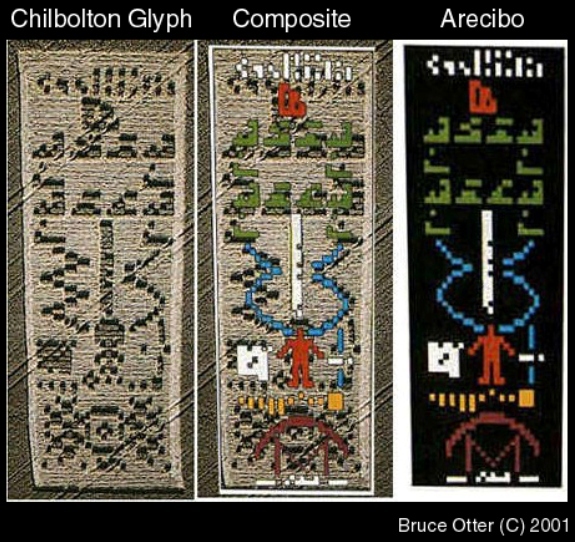 The crop circles created at Chibolton 27 years later seems to answer that message with the same information, but as it would apply to an alien life form, along with an image of what it looked like. While this incredibly complicated crop circle could also be a hoax, I prefer to think that it, and many of the others, are actually messages meant for us to decipher—messages featuring instructions that would enable us to build technological marvels capable of advancing our society significantly. If this concept sounds familiar, it’s because it was the plot of the 1997 film, Contact starring Jodi Foster, based on Sagan’s book. “Junk” DNA: If you were set with the task of leaving a message for a primitive race that you wanted them to find only when they were advanced enough to understand it, where would be the safest place to put it? The answer is within their own bodies. By tampering with a species’ genetic code, it’s entirely possible to hide extra sequences that could be deciphered to create messages meant for a more evolved population to understand. When the Human Genome Project finished deciphering our DNA sequences in 2001, they were disappointed to find that 98% was apparently useless. While vast stretches of this so called “junk” DNA has since been found to have important functions, other areas are still questionable. If our planet was seeded for life, it’s possible that our DNA has been manipulated from the start, or later tweaked at intervals to advance our evolution. Perhaps aliens even spliced their more advanced DNA with ours, explaining why we evolved to be so superior to all other life on this planet. This also explains the existence of virgin births and human and god copulations in much of our mythology. Even if none of this ever occurred, it is possible that a more advanced race could’ve hid a message within our DNA, hoping that it would be discovered and interpreted one day. Obviously, such a discovery, regardless of what the message says, would completely change our perspective about who we are and who may have created us. The Ark of the Covenant: One of the greatest mysteries of the Bible concerns the contents of the Ark of the Covenant. Said to contain the stone tablets on which the Ten Commandments had been inscribed, their importance, powers, mythology, and interpretations seem to relate to something otherworldly. What is it that can feed a massive population with manna, cause the walls of Jericho to fall, curse those who captured it, and be used as a weapon of mass destruction that could annihilate enemies? Many believe that the Ark contained advanced technology given to us to help protect or advance our world. While researching for this article, I discovered that the Coffer in the King’s chamber is exactly the same volume as the Ark of the Covenant as described in the Bible. Could the Ark have been kept there? Or, could it be the mechanism that would get the technology of the pyramids working? Similar to the monoliths in 2001: A Space Odyssey, I do believe that the Ark is a sort of planetary protection device, meant to protect primitive people’s from advanced alien invasions. 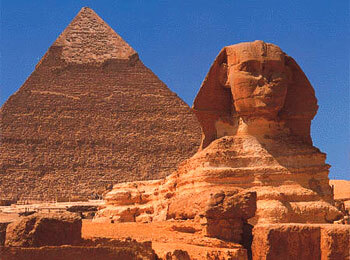 Or, it may be a piece to a greater puzzle—such as the pyramid. The Lost City of Atlantis: First described by Plato, this legendary island city was said to have existed in the Atlantic Ocean, west of Gibraltar and to have sunk beneath the sea in a single day. The “sleeping prophet,” Edgar Cayce said Atlantis was populated by a highly-evolved civilization possessing advanced technology powered by a mysterious energy crystal. Unlike other lost cities, I included Atlantis here because of the legends surrounding its advanced population. Whether Atlantis relates to a real place or not, its mythological message about the dangers of being too reliant on technology resonates today, especially in the wake of Hurricane Sandy, which left nearly 8 million customers without power on the east coast. As a mysterious puzzle, I believe that Atlantis could relate to an advanced technology hidden someplace on the planet—perhaps deep within the ocean floor or beneath the ice of Antarctica. The challenges there would be more in locating the device, rather than figuring out how it works. The Bible Code: With any really long book, you’re bound to be able to find hidden words that overlap one another. But what’s really fascinating about the Bible or Torah code is that the hidden words are often related to the passages in which they are found, and one another. I tend to side with the kabalistic belief that the Torah is the story of the world we live in—from start to finish when metaphor and symbolism are applied. From the perspective of my simulation theory, it just may be the program code from which this world is run. Deciphering this code, whether provided by ancient aliens or the programmers of our reality, could truly reveal much about the workings of our universe. The Money Pit of Oak Island: While probably the least known of the twelve puzzles I’ve listed here, in many ways this one is perhaps the most fascinating. Uncovered in 1795 by an 18-year-old after observing lights coming from the Nova Scotia island, the money pit has lured many including Franklin Roosevelt to it’s excavation site in search of buried riches. Said to be created by pirates to hide their treasure, the Knights Templar for the Holy Grail or Ark of the Covenant, or even aliens for some advanced technology, excavations have revealed apparent man-made artifacts every 10 feet for as far down as 100 feet or more. These artifacts included layers of coconut fiber (despite coconut trees not being native to the Canadian Island) and a stone bearing an inscription of symbols. While skeptics believe the pit to be nothing more than a natural sinkhole, legends surrounding the 200-plus years of treasure hunters lean towards it being something more—something that can perhaps help put all the pieces together. If the Ark of the Covenant were found there, and then placed in the empty coffer in the king’s chamber within the pyramid at Giza creating a beam that would, say, signal to advanced aliens that we are ready, maybe a beam would be returned that would cause Stonehenge or the Moai or Atlantis to reveal its secrets. In other words, all these puzzles could work together to form one big puzzle. Even though this would be very interesting, I still prefer the individual puzzle theory because it helps to explain why there are different puzzles in different parts of the world. Much like in Cabin In The Woods where each artifact in the cabin’s creepy basement unleashes a different monster, each puzzle on earth— when solved—could bring a different alien to induct us into their particular system. This theory, while admittedly fantastical in design, would explain so many mysteries of our world: the creation and purpose of ancient relics and monolithic structures, how our ancestors had access to such advanced architectural knowledge and technology, the basis for much of our mythology, the true identity of our gods, etc. It all fits together. 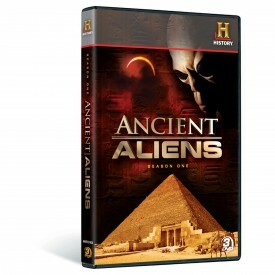 It also explains why we haven’t had any contact with aliens in modern times and why the gods of our ancestors all seemed to have disappeared at around the same time a couple thousand years ago. When you think about it, if advanced aliens are seeding planets, it would make sense for them to leave behind ways for us to contact them, signaling that we’d become advanced enough to deal with it. With millions of possible seeded societies, aliens would likely not have the resources to continually check up on them all. That’s not to say that they never do however. On February 24, 1942, an enemy aircraft was apparently sighted over Los Angeles, California resulting in a barrage of anti-aircraft shells. Known today as the Battle of Los Angeles, the event was eventually described as a false alarm, but many have wondered whether the craft could’ve been extraterrestrial in nature. After learning about this event from an episode of Ancient Aliens, I began fitting together the pieces. What if there was an alien spacecraft that was damaged in the attack? Possessing advanced technology, it is possible that the craft could’ve attempted a hyperspace jump—skipping ahead in time to avoid destruction. What if they only managed to skip forward five years—to 1947 and crashed just 800 miles away (just a few seconds in advanced aircraft speeds) in Roswell, New Mexico, leading to the infamous incident? Once again, the pieces fit together. I’ve actually gotten a lot of information for this article from Ancient Aliens, but as of yet, I hadn’t heard anyone put the information together to come up with the theory I’m proposing here. 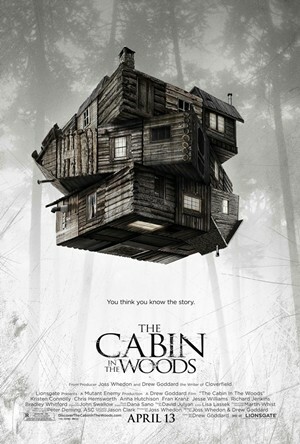 It took the mythological message of Cabin In The Woods for me to see how the theme of that film could apply to our world. While I’m sticking with aliens for now, the puzzles could just as easily fit into the simulation theory. Only instead of being rewarded with alien contact from solving the puzzles, we’d be rewarded by winning the game or opening vortexes that would enable us to move on to the world beyond this one—whether it’s the real world or just another level of the simulation. In this case, the puzzles would have been created by the programmers of our reality, supplying us with a sort of secret cheat, a la an invisible coin box or secret ladder on Super Mario Bros. Despite my near-obsession with trying to figure out what our world actually is, I often get the sense that the point isn’t to try to figure out how the game works, but just to play it. Recently I’ve been getting messages from numerous sources coaxing me to learn to be comfortable with the ambiguity, to let go of my need for answers, and just live my life within the confines of wherever we actually are. Maybe trying to figure out the mechanism behind our reality isn’t the point, so for you, nothing I’ve written here may inspire you to investigate any further, and that’s perfectly okay. For me however, I feel that part of my destiny is figuring out the workings of this world and to share this knowledge with everyone. Maybe I’ve been receiving these messages requesting me to stop because doing so will ruin the mechanism behind a grand enlightenment plan for humanity. Or, maybe it’s because I’m getting close to discovering how to free us from some kind of illusionary captivity. Either way, much like those who’ve dedicated their lives and resources to solving the mysteries of the Great Pyramid, Stonehenge, our genetic code, or the Oak Island Money Pit, I cannot stop. It’s part of my DNA. And I want to know whether that DNA has been created, manipulated, or naturally evolved. Once I know that, then I can get back to living life. Whatever that means. Aliens from other planets? Our 100-year old science fiction is how the billion-year old Universe functions? How anthropomorphic! Hmmm, your comment is like a riddle in and of itself. An enigma wrapped in sarcasm wrapped in facetiousness to the point where I almost wish you’d had provided some kind of emoticon so I could figure out what you’re saying here. Okay, as far as I know, you are a believer in aliens. But aliens residing from our own world or outside of our simulation may be more likely for you. So, guess that jab is about my siding with the “aliens from other worlds” cliche. Okay. You know that’s irrelevant since this theory works regardless of where the aliens come from. As far as the 100-year-old sci fi explaining how the billion-year old universe functions, I have to call you out on that one for assuming that this illusionary world is in fact a billion years old. But even if it is, yes, I stand by that and I’m sure Carl Jung, Joseph Campbell, and many others would agree that the psyche that feeds our modern-day sci-fi originates from mythology that’s been part of our collective unconscious since the beginning of time. And that mythology is based on a truth of how the universe really works and what we really are. As far as any accusations of anthropomorphism I plead exactly as Star Trek went on to do in the Next Generation series by blaming it on a “seeding” theory which I did bring up in the article. Of course, if all that was meant to be followed by an implied winking smiley, ignore all of the above! My earlier post, “Proof That You’re Living A Life of Illusion” (read it here: https://thelaymansanswerstoeverything.com/?p=515) is really my argument for the simulation. I was just referencing it here just to show that it fits with that theory as well. And BTW, are you really ready to get “on board” with the aliens? I so enjoy your writing and the opportunity to observe how your mind works. I know little to nothing about most of these puzzles. While I would love to have time to dig into all the links you’ve provided, I can really only comment on the surface level of this article. It’s fascinating! I’m grateful for the stimulation of my imagination. As one of the sources encouraging you to consider your relationship with ambiguity, I’m glad to see both that you have acknowledged receiving multiple hints about this, and also that it won’t stop you from putting together pieces of these major mysteries. Just in case our recent conversation requires clarification, I never meant to suggest you should stop. However, I do think that there is important value in recognizing, for example, when something is a paradox. Light is both a wave and a particle. When in one form, we don’t become distressed that it is no longer the other. We accept this dual nature. This is what I meant by becoming more comfortable with ambiguity. I look forward to continuing to read your intriguing analyses and quests for deeper understanding. You enrich us all with your ideas. Thanks for sharing that Dave! I am a big proponent of stepping outside our comfort zone. I think for me that is more about letting go, which may include elements of needing answers and clarity and organization. However, i also feel it is part of my calling to solve some of what I feel are mysteries about our world. From the perspective of the big picture, ?i don’t think there are any paradoxes, only from our limited perspective. For now, i can be okay with the ambiguity of not being able to understand it all yet, but I know on some level that a solution we can understand does exist. I hope you continue doing your part to find those answers as well!